We are designing a new world of proteins to address 21st century challenges in medicine, energy, and technology. Natural proteins evolved over millions of years to solve the most complex challenges on Earth. However, we face new and pressing challenges today. The goal of the Institute for Protein Design is to develop and apply methods for designing a whole new world of synthetic proteins to address these challenges. To achieve this, the Institute was established in 2012 to build upon strengths both within the University of Washington and in Seattle generally. Protein design requires high-level expertise in computing and software, biochemistry, genome sciences, biological structure, pharmacology, immunology and other basic science disciplines, as well as clinical medicine. We are marshaling deep institutional strengths in our faculty, scientific staff, postdoctoral fellows and graduate students, our partners from collaborating institutions, innovator networks and from the computer and biotechnology industries — bringing extraordinary expertise to bear on a singular focus to advance the potential of protein design. Proteins are the molecular machines that make all living things hum — they stop deadly infections, heal cells and capture energy from the sun. Yet because our basic understanding of how proteins work has until now remained a mystery, humans have only been able to harness the power of proteins by modifying ones we happen to find in nature. 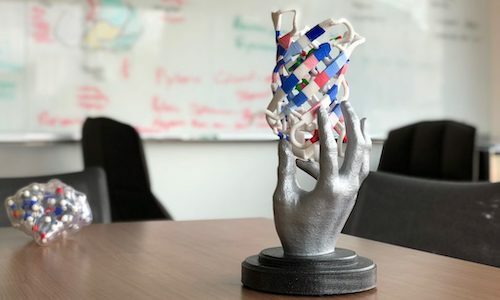 Enabled by decades of basic research, the rise of inexpensive computing, and the genomics revolution in reading and writing DNA, we can now design new proteins from scratch with specific functions. Our scientists have developed catalysts for chemical reactions, HIV and RSV vaccine candidates, and experimental therapies for diseases like cancer and the flu. Computer-generated molecules that block infection, capture toxins, reprogram cells, and more. Highly stable and customizable vaccines for influenza, HIV, cancer, and beyond. Nanoscale protein assemblies that move therapeutics and more to specific cells within the body. Biomolecular modeling and computational design are at the heart of everything we do. Programmable switches, sensors and machines that function inside cells. Atomically precise materials with applications in solar energy, imaging and basic research. Chemically synthesized molecules with predictable structures and functions. We are headquartered in the Molecular & Nanoengineering and Sciences Buildings at the University of Washington in Seattle. A paper recently published in Nature titled “De novo design of a fluorescence-activating β-barrel” describes our most lustrous synthetic protein yet. The lead authors are Jiayi Dou and Anastassia Vorobieva. PvP Biologics is the latest spin-out from IPD, and although a young company, they’ve already announced a $35M agreement with Takeda. 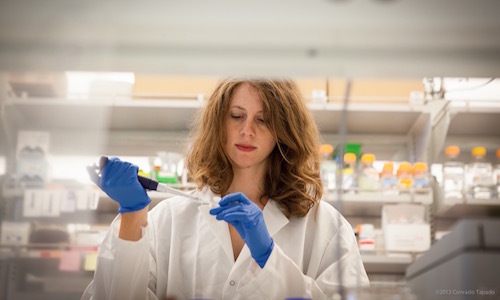 Their enzyme, KumaMax, looks to help those with Celiac disease. Keep an eye on them as they continue their research! We know that computers are smart, but they can sometimes miss important things because of the way they are programmed. The same goes for researchers! This is where Foldit comes in: everyday people can play and help us discover better protein designs through their unique creativity and ingenuity.